Dubai: Road authorities in Sharjah cautioned motorists over road works taking place along the Buhairah Corniche and nearby areas. The Roads and Transport Authority (RTA) in Sharjah announced that it will partially close one traffic lane on both sides of Corniche Road in order to install a dedicated lane for buses. The road works were carried out on October 31, 2018 and is expected to finish after one month by November 30. The construction on the roads will affect traffic flow in Al Majaz 1 and 2. The Sharjah RTA explained that a lane on Al Intifadha Street will also be closed, and will affect motorists driving from the corniche. To increase the efficiency of infrastructure in the city of Sharjah, the road authority will also close the roads near Al Ittihad Park in Al Soor area for maintenance, which will affect the areas near the Central Souq and Al Arouba Street. The second phase of the maintenance project started on October 31 and will continue until November 20. 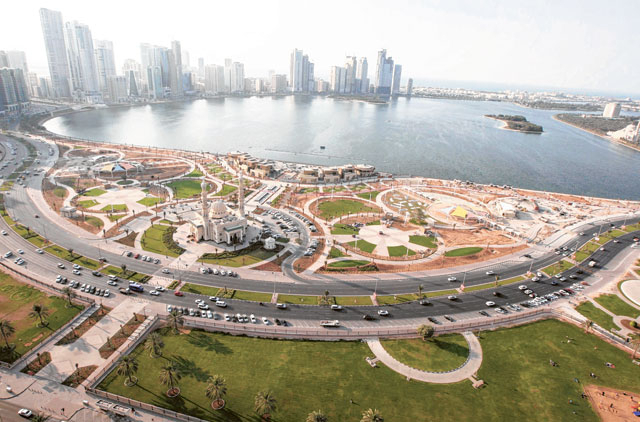 The Roads and Transport Authority (RTA) in Sharjah recently announced a Dh4 million road project that will be carried out during the next two months near the Central Souq and around Al Ittihad Park.